New research published in this month’s Archives of Internal Medicine has caused quite a stir amongst vitamin- and mineral-popping Americans . 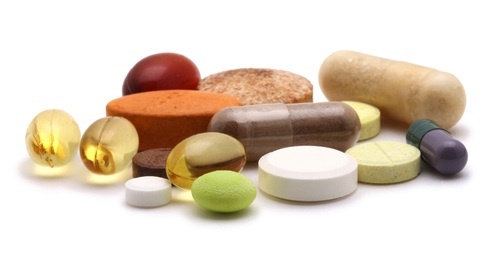 Researchers report that over the course of a decades-long study, older women who regularly took vitamin and mineral supplements were more likely to die than those who did not. This news may surprise those who look to vitamin and mineral supplements as a mechanism for maintaining — and even improving — health. However, while it would be easy to sensationalize the research findings, the reality is that there are many limitations that prevent drawing meaningful conclusions — ones that could be used to inform behavior — from the study. Vitamin B is a complex of eight water soluble vitamins active in cell metabolism. They include Thiamine (vitamin B1), Riboflavin (vitamin B2, also called vitamin G), Niacin (vitamin B3, also called vitamin P), Pantothenic acid (vitamin B5), Pyridoxine and Pyridoxamine (vitamin B6), Biotin (vitamin B7, also called vitamin H), Folic acid (vitamin B9, also called vitamin M) and Cyanocobalamin (vitamin B12). Note: This review is not meant to be a comprehensive or definitive glossary, but rather to identify each vitamin’s function and highlight recent research findings of each of the B vitamins. Vitamin A consists of a group of compounds that play an important role in vision, bone growth, reproduction, cell division and cell differentiation . It helps to regulate the immune system and may also help lymphocytes (meaning a type of white blood cell) better fight infection .